What a great month! We hope you had as much fun in November as we did! As you know, we have been sharing the “Best of Cats on the Internet” at the beginning of every month. We hope everyone has enjoyed these posts so far and that they have helped bring you up to speed on the latest and greatest involving cats on the Internet! With that said, did you get a chance to see our post last month? If not, you might want to catch up on all of the great stuff from Catober! Ok folks, it is time to get down to serious business! Here we go again! Office Cat Answers the Phone – Ring, ring! Do you ever leave your house afraid you are going to miss an important phone call? Maybe you should think about hiring this cat to be your secretary, LOL! Cats playing “I Spy” … does it get better than that? Check out this handy camera work by Andrew G! This funny cat video has gotten over 70,000 views since its release just a few short weeks ago. Do you own a senior cat? Want a chance to win a 6 month supply of World’s Best Cat Litter™? World’s Best Cat Litter™ is happy to be working with OldCatsRule and to be involved in a great contest on Facebook involving senior cats. To learn more about the contest, please read our recent blog post or visit our friends and furriends over at OldCatsRule for all the details! World’s Best Cat Litter™ on Sumac Stories blog! Did you get a chance to see what the cats over at Sumac Stories thought about our cat litter? We were happy to hear they enjoyed the litter and that it delivered on their expectations. We also chuckled when we read about how pretty they thought the litter was and their comment about feeling bad about messing it up, LOL! Morris Animal Foundation commits $13 million to pet health studies for cats, dogs and other species! Big news! Over 23 feline health studies will take place in 2010 to help better understand diseases, conditions and general health issues commonly found within cats. 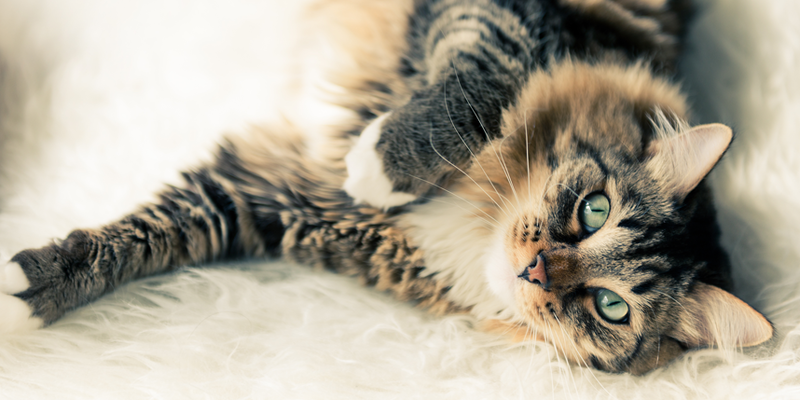 This is great news for all cat owners as these studies will provide more information and insight on how to help cats when different health issues arise. Did you read the great article on “Pet-Friendly Hotels” written by Lynn O’Rourke Hayes? Whether you have a trip lined up for the near future or are looking to plan an upcoming vacation, we recommend getting up to speed on all the hotels and lodging establishments offering pet-friendly accommodations! Train your cat? Did you know that cats are trainable? Check out this great article on how cats are trainable and what shelters like the Michigan Humane Society are doing with programs like the “Pawsitive Start Program” for their cats. Check out this picture of a cat giving a high-five to his trainer! Alright gang, I think that’s all we have for now. We have a big Holiday and fun-filled month ahead of us. If you happen to come across a great video, blog post, or something downright entertaining over the next month please feel free to share it with us!